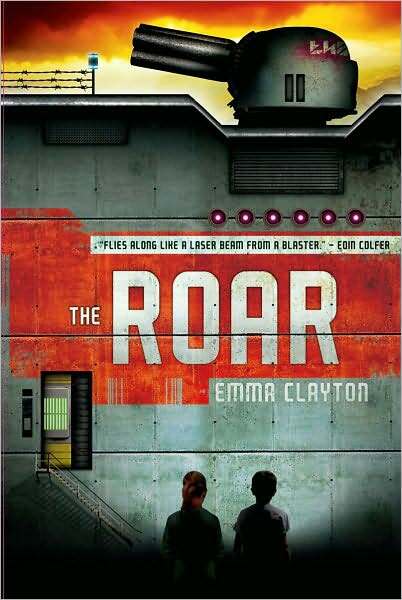 This Iowa Teen Award Winner for 2013-14 begins with Ellie trying to escape after being held hostage for several months on a strange space ship. Her twin brother, Mika, feels that she is alive despite the fact that the government has told his family that she drowned. Mika and his parents live in a the poor area of London that is now beneath the newer, brighter buildings that were built on top of the poor when land got scarce. The wealthy literally walk on top of the poor people all day and dictate what happens to them. The more Mika resists the acts of the government the more they try to knock him down. When a new video game simulation is introduced to all of the 12-year-olds he is intrigued and feels instinctively that this is his way to finding Ellie. Can he succeed enough at this game to find his sister and what really happened to her? Will he discover the sinister plot the government has for these twelve-year-olds? This book has a futuristic feel to it and will be popular with The Hunger Games crowd. There isn’t much violence, but the plight of these poor people is very raw and realistic. Mika must endure bullying, unfair punishments, and overwhelming guilt for trying to stand up for what he believes in and ask unpopular questions. The revelation of the goverment’s plot is surprising and satisfying. Each of the characters is well developed with clear motivations in the sequels that are sure to follow.